I get pretty attached to all of my designs by the time publication rolls around, but I have to say, I feel especially proud of this one. Partly that's because I worked hard to make it just right (and frogged oh-so-many times), but also because of the publication venue. 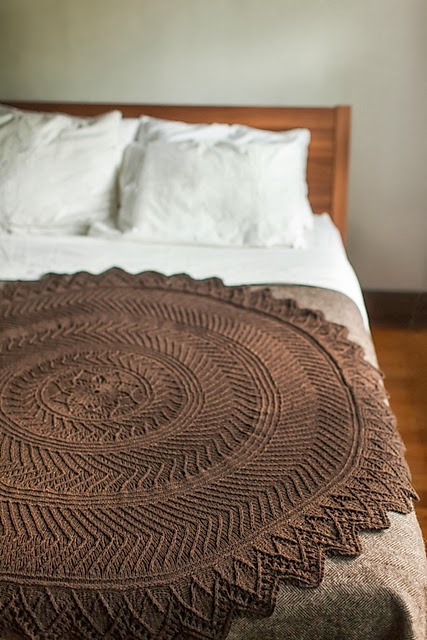 It's so exciting for me to be included in Brooklyn Tweed's Wool People Series. Tree Rings starts with Elizabeth Zimmermann's pi shawl concept, but takes in a slightly different direction than usual. While most pi shawls employ lace patterns, I wanted something that would be rich in surface texture and show directional movement. The edging has some lace included (my nod to tradition), but it's mostly intended to mirror the angular shapes in the rest of the piece. A softer, somewhat floral motif is included in the center to add a gentler mood. I don't usually focus very much on pattern names, but I love what the Brooklyn Tweed team decided to call the pattern. Tree Rings evokes just the right feeling of nature combined with geometry. Thanks to whoever thought of such a perfect name! I'm especially fond of Skydottir and Greenwood. 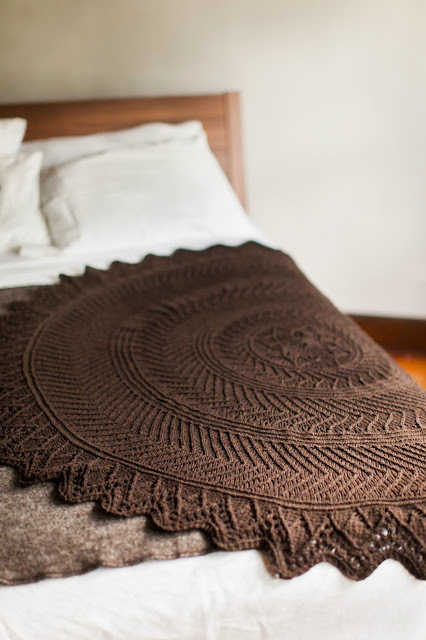 I love your take on the Pi shawl construction. Yours is my favorite of all the designs in this collection. It's stunning! Thanks for your comment, Kimberly. I can definitely see how the "written" tag could be confusing. The Ravelry tags include everything about the pattern, so even though the stitch patterns are only charted, the rest of the pattern is written, so we'll include "written" as one of the tags. (That may seem to go without saying, but some Japanese patterns are schematics and numbers only.) I can mention this to the Brooklyn Tweed team for you though since they do the Ravelry listings.